1 Many people consider Eastern Europe and in particular old Soviet bloc countries as one dull mass that is all alike. What makes Warsaw so different and so special for you? 2 What is your favorite place in Warsaw to take out of town visitors, and what makes it so special? 3 Tell me about your favorite place in Warsaw that I wouldn’t find in a guidebook. 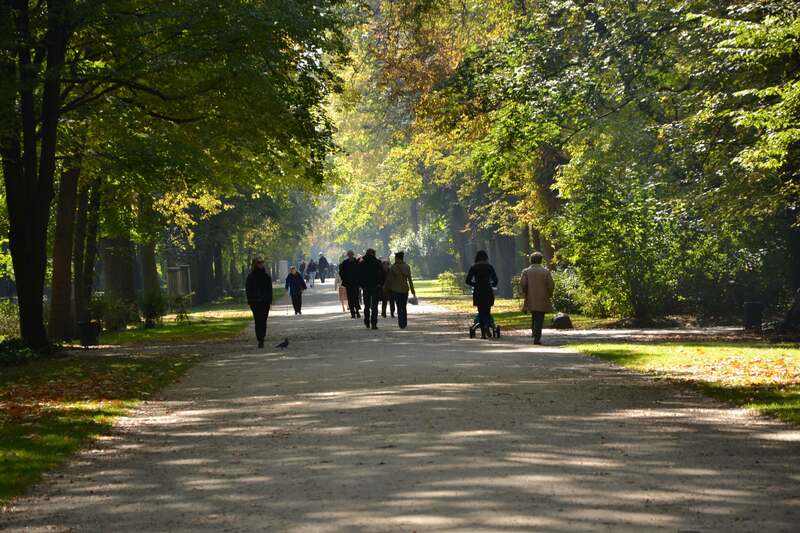 4 What is your perfect day out and about in Warsaw and why? 5 There are many great day trips from Warsaw. Could you share some of your favorite day trip destinations? 6 What is the best way for English speakers to find out about concerts, exhibitions and other special events in Warsaw? Many people consider Eastern Europe and in particular old Soviet bloc countries as one dull mass that is all alike. 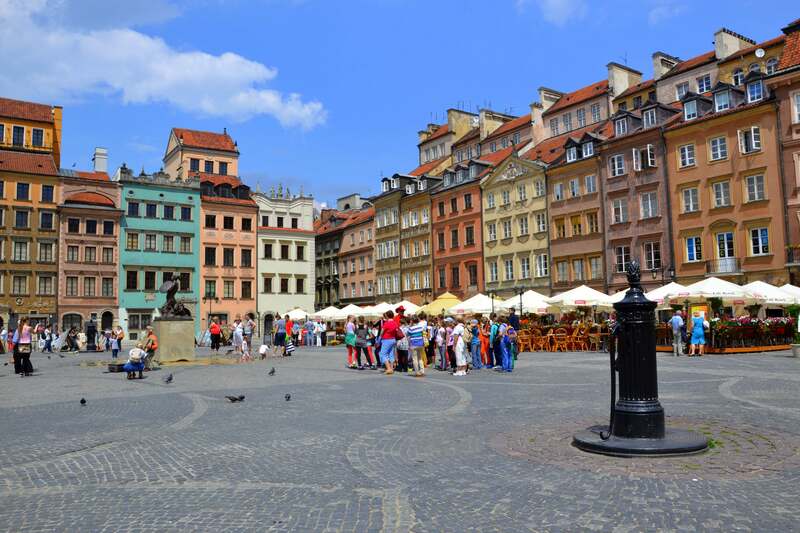 What makes Warsaw so different and so special for you? First of all Eastern Europe is nothing like that! True, the Soviet rule left a significant mark in the cities but still each city is unique, with long and rich history. 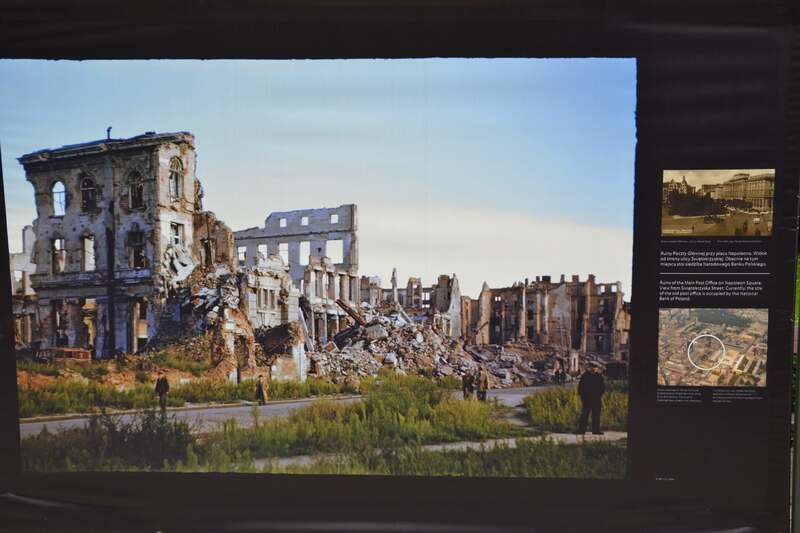 Warsaw is even more special – it’s often called “the phoenix city” as 90% of it was destroyed during II World War. What we can see now, even if it looks like an old architecture, was actually rebuilt after the War. The work was based on the old Bellotto’s paintings from XVIIIth century. The Old Town is incredibly beautiful, one of the most picturesque places you’ll see in this part of Europe but when you think how new everything is changed the perspective a little bit. Warsaw had to struggle a lot over the centuries and is still trying to find its vibe and identity. Being a witness of this process if a truly fascinating thing for me and I guess this might be the reason why I enjoy living here so much. It’s sometimes a difficult city to love, we’ve had our issues too but for past few years me and Warsaw been really good friends! What is your favorite place in Warsaw to take out of town visitors, and what makes it so special? I’m a huge fan of Praga district – located on the right bank of the Vistula river, across the Old Town and downtown it used to be a separate city until 1791. The district is still considered as a dangerous one as it used to be a very poor area with many social issues. These days however it’s more of a bohemian neighborhood, with art galleries, funky bars, design shops and the quirkiest museum ever – the Neon Museum. This part of Warsaw wasn’t much destroyed during the War so you can still see bullet holes in the houses or the best examples of the modern architecture from the 1920s. Another unique thing in Praga are St. Mary’s shrines located in the courtyards of old tenement houses – I haven’t seen so many of them in any other place! The right bank of the river is considered the most real part of Warsaw, still having the pre-war charm that made this city so special (Warsaw used to be called “the Paris of the East”) and well, I couldn’t agree more! Tell me about your favorite place in Warsaw that I wouldn’t find in a guidebook. Saska Kępa! The cozy neighborhood located just across the river from the downtown, next to the national stadium. It’s the newest hip place of Warsaw and Francuska Street is the fanciest street of that side of the city, with lots of small boutiques and upscale restaurants. 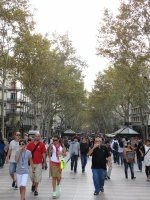 The life goes slowly here, people walk around enjoying the day, life is good here. The other great place, not far from Saska Kępa, is the beach at the right bank of the Vistula river, next to the national stadium. That’s where people hang out in the summer time as, even if you’re in the middle of the busy capital, it feels so relaxing, almost like you’re on the holidays. And the view of downtown is pretty good from there too. What is your perfect day out and about in Warsaw and why? I love wandering around the neighborhoods on the right bank of the Vistula river (Praga, Saska Kępa) – I always find something new there – a new quirky shop, new street art, a new art gallery, or cafe. Being in these places makes me truly happy. Warsaw is one of the greenest cities in Europe, there are numerous parks here and hanging out in one of them is always a pleasure. My favorite one is Park Skaryszewski, with a big pond in the middle. In the summer time you can rent paddle boats there or just sit on the grass and read a book. There are many great day trips from Warsaw. Could you share some of your favorite day trip destinations? 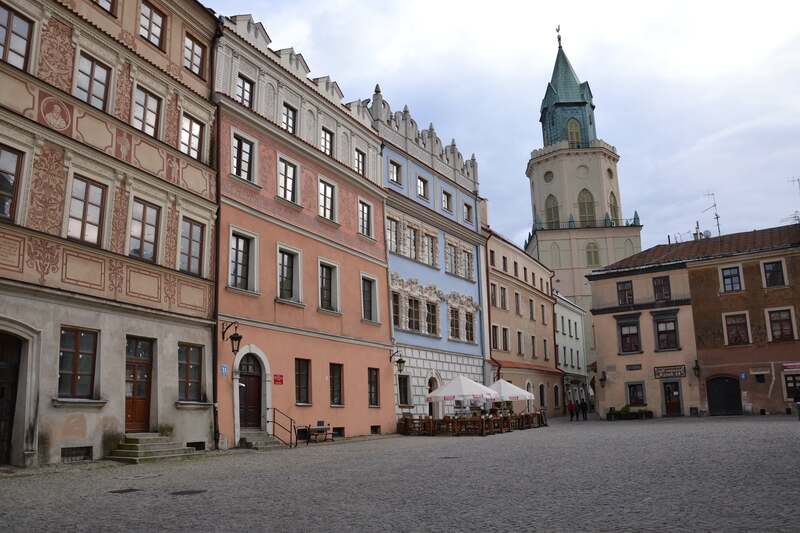 I really love Lublin – the biggest city in eastern part of Poland located around 3 hours away from Warsaw. It’s one of the oldest cities in the country and has a rich multicultural history. The Old Town there is just the prettiest, with narrow cobbled streets and colorful houses. But Lublin has some dark history too – one of the biggest Nazi camps during the II World War was located there – it is possible to visit it now and I think it’s a must for everyone who comes to Lublin. Another great destination is Łódź – another big city, two hours away from Warsaw. 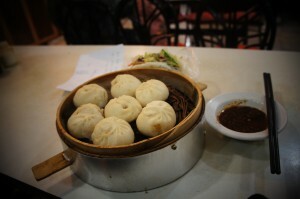 It’s known for its industrial spaces turned into museums, shopping centers or hip restaurants. There’s also a big street art scene there – check Urban Forms Foundation for more details. If you’re interested in nature then just outside of the city is Kampinoski National Park. It’s connected with Warsaw by the public transport and it’s a perfect place to do some hiking in the beautiful, peaceful forests. What is the best way for English speakers to find out about concerts, exhibitions and other special events in Warsaw? There’s a really big expat community living in Warsaw so numerous English sources are available. Just google “Warsaw events” and you will find all your options! 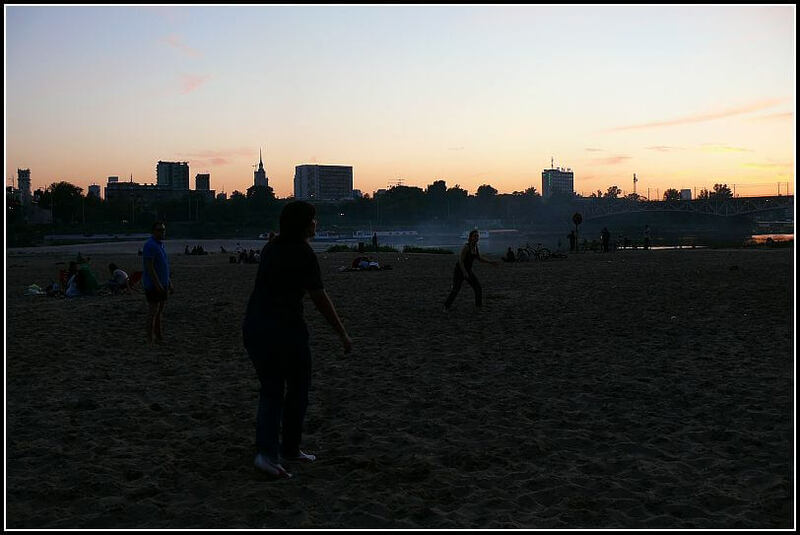 Favorite garden(s)/outdoor space(s): Park Skaryszewski or the beach at Vistula River, next to the national stadium. There’s also a really great walking path, 10 kms long, along the river, on the right bank. Favorite market(s): sadly there are not too many traditional markets anymore but Hala Mirowska is pretty good! Favorite spot for a tea or coffee: Wrzenie Świata! 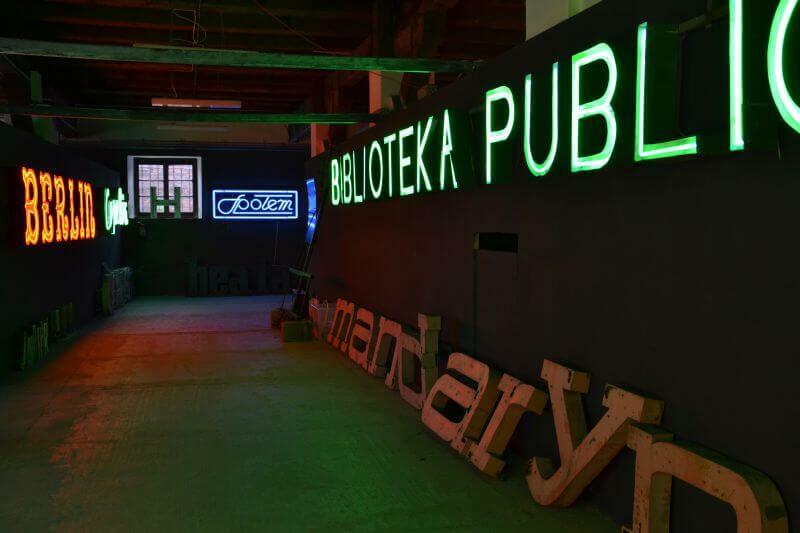 It’s hidden in the back of Nowy Świat street and it’s a paradise for all the book lovers. This café was founded by the best non-fiction writers in Poland and the choice of the books available is really impressive (some English titles can be found there too). 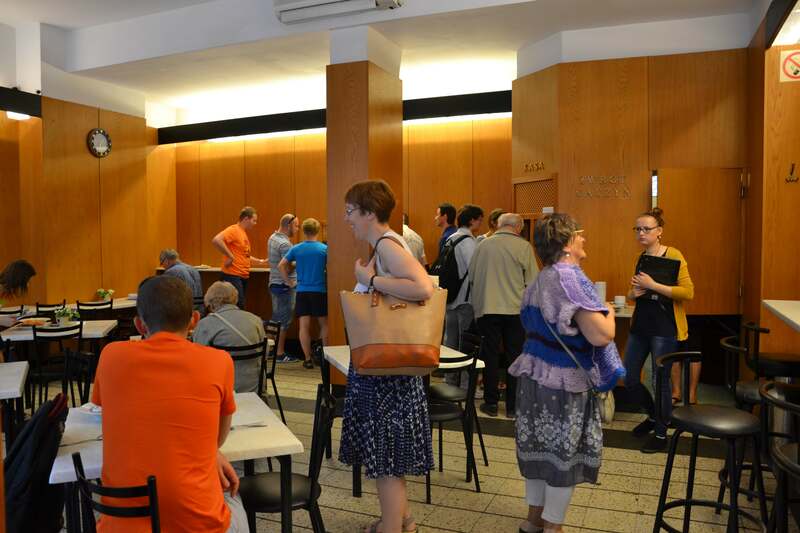 The coffee, drinks and food are really good too and together with books they create a really wonderful atmosphere. Usually you can meet some of the writers there too. Favorite value for money restaurant(s): definitely milk bars (“bar mleczny” in Polish). Don’t get fooled with the name, they don’t offer only dairy products! You can get a proper meal there, cooked just like at home, and the prices are crazily cheap: tomato soup for 0,50$ or pierogis for 2$! These places were typical for Soviet times and now they’re extremely popular again. Some of them have a new, funky look, others look like the time has stopped there back in 80s but all of them offer delicious and cheap food! Kami is a Polish solo traveler and blogger who shows that it is possible to balance full time job with extensive travelling. So far she’s been to 50 countries but new adventures are waiting ahead. She’s especially interested in off the beaten path places and difficult histories but don’t mind visiting main tourist attractions too! Warsaw is such an interesting city to visit and really quite beautiful. Agree about parks, lovely.Visited several, favourite was the large very romantic one (can’t remember name). We stayed with an old friend, living there at time and for days she walked us all over. The reconstructed old town is amazing – as it was rebuilt so soon after WWII – it looks as though it’s really old. Such courage following the terrible destruction of Warsaw in the last days of the war. Our friend also walked us around what little is left of the Ghetto and past so many sad monuments, to the Warsaw Uprising etc. Also to the churches, one where Chopin’s heart is interred. One of our favourite cafes was Literatka. But there were many small places of great charm, beautifully decorated with rustic antiques and heaps of fresh flowers. On Sundays pianists play Chopin at many of them. There was also a brilliant market in the Old Town with traditional Polish food and crafts on sale, sausages, cheeses, pickles, jams, and the wonderful Polish brown/black bread. Our favourite trips away for a few days each were: Gdansk, also reconstructed – walked all over but also hired a boat/boatman who took us on a cruise along the river, incl. past the old Solidarity shipyards, sadly by then rusting away. Krakow also is brilliant, a fascinating old city – and original – though with the same tragic history and horrific holocaust stories. You can see Schindler’s factory – and also Helena Rubinstein’s family home. 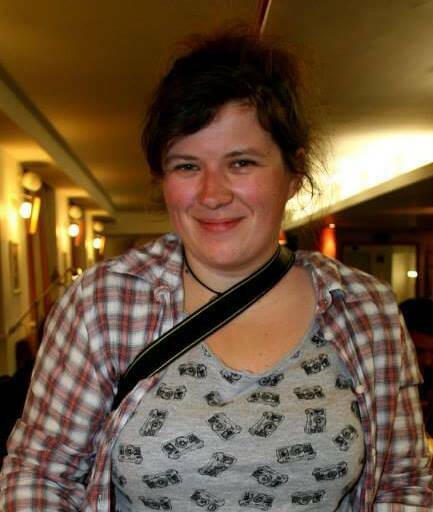 Hi Pamela, thanks as always for adding so much to our discussion here on the blog. I find I learn so much from you every time you post a comment – maybe I should interview you one day! Love to travel too. We’re about to set off again for Europe in a couple of days. That trip to Poland was in sad circumstances. The air force plane with so many important people from the Polish Government and military had crashed in Russia only a week before, killing all on board. I had to repack our bags as originally was planning on brights (oranges, pinks and reds) which would have been very unsuitable to wear when the nation was in mourning. Changed to mostly black and whites. Wherever we went there were reminders of the terrible loss they’d just suffered. Enormous individual photo portraits of all the different people on board, along the walls/rails of parks and buildings, with hundreds of flowers – and candles burning. The churches in the different cities we visited nearly all had photographs of their local sons and daughters who’d been lost. Masses of flowers and candles heaped around. As we walked along the park rails and looked at the pictures there were people everywhere, praying and weeping openly as they grieved. It was very sad. The poor Poles have suffered so much throughout history – yet they still have such great courage and resilience. Yes, I remember that dreadful incident. What a time to visit! PS Have a wonderful trip! What a great introduction to the city! I have to say Kami has made it sound pretty funky and cool, hasn’t she? Those milk bars sound right up my alley too……. The ex soviet-bloc countries are all on my bucket list. A great side effect of the occupation was the lack of modern development. That means lots of beautiful old buildings were preserved in the tear-it-down mentality of the 60’s. It also means people with a can-do mentality and energy. What a great combination. Yes, you see it in parts of the old East Germany that I have had the opportunity to visit. I know exactly what you mean! Ever since I read Mila 18 by Leon Uris (over 30 years ago!) Poland, as well as Eastern Europe, has fascinated me and I love your post on Warsaw which blends the history of the city with the present. I look forward to visiting this area (maybe in 2015?) and I’ve bookmarked this post to use as a guide. Thanks for sharing! Thank you, that’s very kind. I think Kami has done a great job in blending the past and present in her piece. Good luck for getting there is 2015! Thanks Noel. One of the things I love about my insider series is that I often have young bloggers write them, so it brings a very fresh, modern perspective to some very traditional locations. I’ve never been to Warsaw (yet) but if I go, I’d love to have an insider’s guide like this one! Thank you! Kami has made it sound so fab, hasn’t she? What an excellent post. I really like Poland. In fact, I’m in Poland right now in Leba, the Polish Baltic Sea and today I went to Malbork which is very impressive. I’m constantly telling people about the virtues of Poland. Thanks for sharing! You’re welcome. It’s somewhere definitely on my list. This is a really interesting post. I’ve never really considered going to Poland, but Kami has certainly highlighted many fascinating diversions. I had no idea that 80% of the city had been bombed during the war! I’ve been reading and hearing so many good things about Poland including her largest cities; so, this is only adding to my “need’. 🙂 Thanks, Kami, for writing; thanks, Jo, for hosting! Thanks, Henry, for commenting! I think it looks so cool. Despite its history, it seems to have such a young, funky vibe, don’t you think? Thanks for putting spotlight on Warsaw, a city definitely worth visiting! There’s a bit for everyone – museums and concert halls, festivals of music of all kind, lots and lots of bookstores, great parks, lots of cafes, restaurants with cuisine from all over the world, and so on, and so on. I really do hope that everyone who commented that the post made them want to go to Warsaw, will eventually go there! Thanks, Jolanta – it’s definitely on my list!